The winner was announced on BBC’s The One Show this evening and immediately another UK icon, the BT Tower, was lit up in Alan’s honour with the top of the Tower displaying his name in lights. Alan is only the fifth permanent voice in the BT Speaking Clock’s illustrious 80-year-history. It is the first time that a Scottish voice has become the permanent voice - indeed it is the first time that a non-English voice has been chosen to keep the UK on time. Previous winners have been much in demand by the media and for voiceovers and personal appearances. Around 12 million calls a year are made to the BT Speaking Clock by dialling 123, especially on Remembrance Day, New Year’s Eve or when the clocks go forwards or back. Even Big Ben is set by the BT Speaking Clock, which is accurate to within 30 microseconds and has been keeping the UK on time, ticking away 24 hours a day, seven days a week, since 24 July 1936. The outgoing voice of the BT Speaking Clock, Sara Mendes da Costa, who was also one of the judges, said: “I’m so honoured to have been the voice of the BT Speaking Clock - only the fourth permanent voice in history - and to be part of such an iconic service. The competition to find a new voice for the BT Speaking Clock has raised £50,000 for the BBC Children in Need appeal. BT is donating 10p to Children in Need from each call made to the BT Speaking Clock from the start of the competition in August until tonight’s announcement. All three finalists recorded full versions of the BT Speaking Clock script at a recording studio in the BT Tower in London for the final judging session. Alan retired from a career in the civil service in 2007. In his spare time he used to host a weekly local radio jazz programme, first on Tayside’s Radio Tay, and later on Dundee’s Wave 102 FM. The show ran for 33 years until January 2016. Alan entered the BT Speaking Clock competition after bumping into a friend in a local tapas bar who had heard coverage of the competition and thought Alan should apply. He submitted his entry “at the eleventh hour”, which he says made him all the more surprised to receive a follow-up call. Only Alan’s partner and his 93-year-old mother know that he has made it to the finals of the BT Speaking Clock competition. 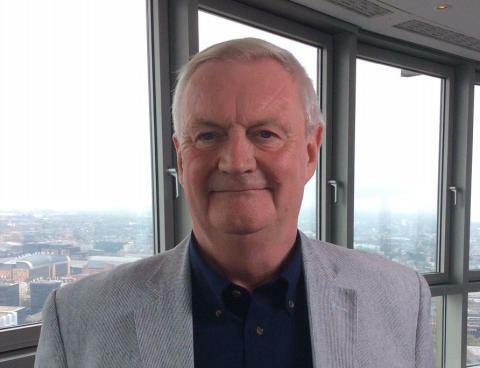 In order to take part in The One Show’s filming of the final auditions at the BT Tower in London, Alan had to miss out on the weekly piano lesson he gives his granddaughter – and hasn’t been able to tell her why until now. Enquiries about this news release should be made to the BT Group Newsroom on its 24-hour number: 020 7356 5369. From outside the UK dial + 44 (0)20 7356 5369 or email newsroom@bt.com. Images of the finalists and a recording of Alan Steadman as the new voice of the BT Speaking are available at the BT media image library. Also available there are previous recordings and images of the people behind the voices and the machines. 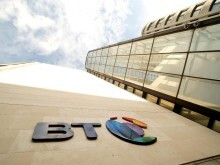 All BT news releases can be accessed atthe BT Newsroom web site. You can alsosubscribe to receive all BT announcements here and you canfollow us on Twitter here. Crea Barton is 20 and from Bangor in County Down. She studies journalism and politics at Stirling University. She’s never done any professional voice work before, but has aspirations of working in radio after she graduates. Her voice can sometimes be heard on the University of Stirling’s student TV station, AirTV. She decided to enter the competition together with her mum, as part of a little competition between the two of them, and says that she entered “and then forgot about it”. She describes the BT Speaking Clock as “iconic”. Thirty seven-year-old Verity Giles works as a business manager for a recruitment company in Bridgend. She was inspired to enter the competition because of her five-year-old daughter, who was keen to enter but sadly fell short of the competition’s minimum age limit of 10 years old. She hasn’t been able to let her daughter know that she is a finalist for the competition or that she has been filming for The One Show, for fear that all the five-year-olds in Bridgend would find out. Verity’s colleagues often tease her about how well-spoken her “phone voice” is, and so when she decided to enter she encouraged them all to put their money where their mouth is and back her by donating a few pounds to BBC Children in Need. Calls to the BT Speaking Clock cost 45p per minute from BT residential lines. Mobile and other providers’ costs may vary and not all providers use the BT Speaking Clock. Total donations to Children in Need were capped at a maximum of £50,000 during the competition period. Now a national institution and part of Britain’s heritage, the BT Speaking Clock was the first of the pre-recorded information services in the UK provided through telephones. Created for people who wanted to know the time and did not have a watch or clock to hand, the clock was initially only available in the London directory area, with the first British Speaking Clock introduced on 24 July 1936. The BT Speaking Clock was designed and constructed at the Post Office Engineering Research Station at Dollis Hill in North London. The time announcements were automatically co-ordinated on the hour with Greenwich meantime signals. In order to access the service, subscribers would dial the first three letters of the word “time” as dials at the time included letters as well as numbers to aid automatic calls. Dialling T. I. M. led to its common name “TIM”. The service went national six years later. Today, around 12 million calls every year are made to the service, officially called “Timeline”. People dial 123 in the UK to hear the modern service. Jane Cain was the first voice, winner of a Post Office “Golden Voice” competition, and used from 1936 until 1963. Pat Simmons, a London telephone exchange supervisor, became the second voice from 1963 until 1985. The third voice belonged to Brian Cobby who became the first male voice at 11am on 2 April 1985. An actor by profession before he joined BT as an assistant supervisor at a Brighton exchange, Brian was selected from 12 finalists in BT’s competition on 5 December 1984. He was also recorded as the voice of “5-4-3-2-1 Thunderbirds are go!” for the famous 1960s Gerry Anderson TV series. The fourth and outgoing voice was Sara Mendes da Costa from Brighton and Hove. She became the BT Speaking Clock voice at 8am on 2 April 2007. Sara won a BT competition during 2006 to find a new voice from the public, which had almost 18,500 entrants. To celebrate the competition and the 80th birthday, BT is formally donating the original Speaking Clock machines from 1936 and 1963 to the British Horological Institute (BHI), where they have been on loan and on display for some years. It will also be donating a digital Mark IV clock, which was recovered from Liverpool. This machine transmitted the voice of Brian Cobby from 1985 – 2001. Ashley Strachan, chairman of the British Horological Museum Trust, said: “We’re absolutely delighted to accept the donation of the Speaking Clocks from BT. We’ve been proud to be custodians of the Mark I and Mark III machines on loan since the late 1980s, with both pieces regularly stealing the show during Museum events and Open Days. BT is the world's oldest and most established communications company. Our roots extend back to the UK's Electric Telegraph Company, incorporated in 1846 as the world's first national telecommunications provider. This summer we celebrate our 170th anniversary. Few companies in the world have a heritage as rich as BT www.bt.com/history . BT’s Archives have been recognised by UNESCO and Arts Council England as having unique significance to the UK’s cultural heritage. In July 2016 BT was awarded Archives Accreditation by The National Archives, only the third corporate archive to meet the new national standard for archives.